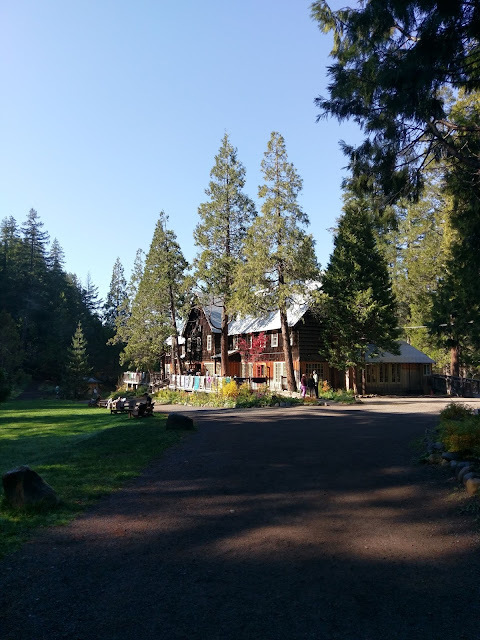 We have had the best weather this week…today we were over 70. That is awesome in my book. We actually never really had a winter in Maryland. A few dustings of snow and cooler temperatures in the 30's at night but nothing like what we have experienced the last 24 years living in Colorado, Illinois, and UT. Wind, snow, blizzards, white outs and more snow! Not this year though…Yippee Skippee! My family is not picky about only eating soup when it's cold. We like it all year long! Today I also made traditional Irish soda bread. I used the recipe from Baking Sheet . Click on the name and it will redirect you to their site. It turned out really good and it was so simple to make. I have fallen in love with the flavor and texture of Minnesota Wild Rice and try to use it often. 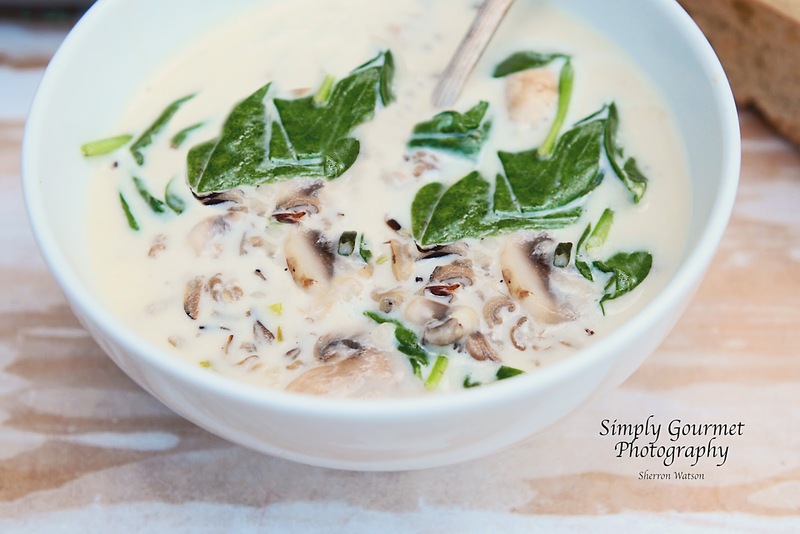 I already had the mushrooms and spinach that HAD to be used today and so this soup was created. I think we all went back for seconds and thirds were out of the question because we ATE the WHOLE POT! Soup and my Soda Bread. Prepare your wild rice first. It takes at least an hour for this type of rice to be ready to use. Follow the directions on the box. I only used 2 cups of the rice but you can certainly add the whole 3 cups if you like. In a large pot warm chicken broth. In a sauce pan melt butter. 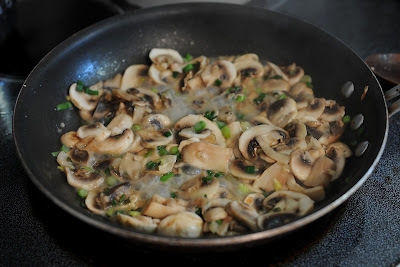 Add garlic, green onions and mushrooms. 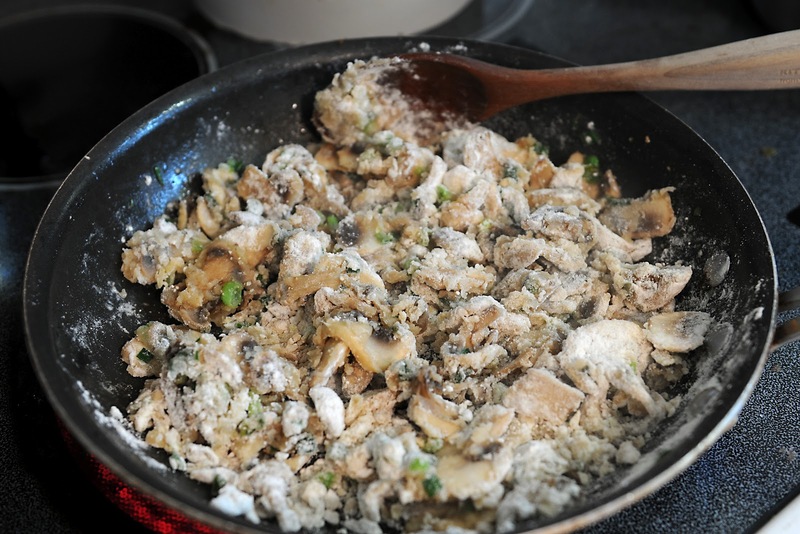 Toss to coat with butter and cook for 5 minutes. 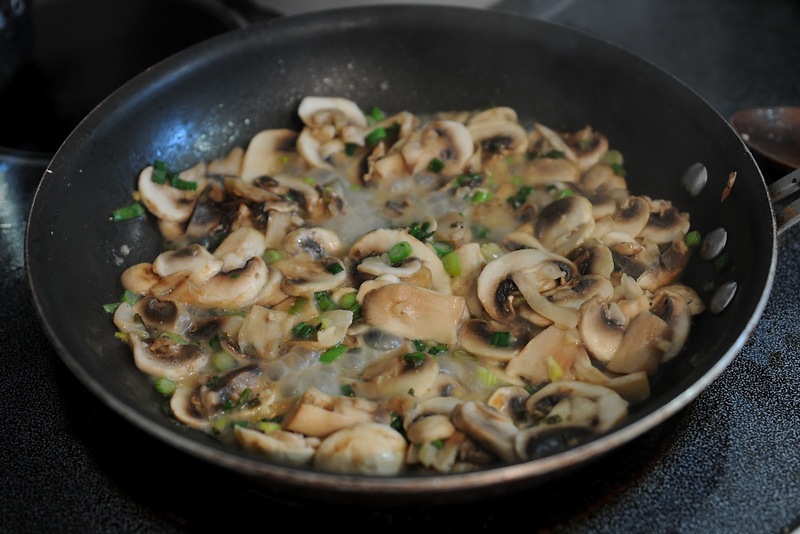 Add flour, salt and pepper to mushrooms and stir. Cook over heat for a few minutes. Add mushroom mixture to broth and stir. Add milk and cream and stir. Your soup will thicken as it gets hotter and hotter. I did not boil mine and turned off the heat right before this stage. I added the fresh spinach and let the hot soup cook the spinach. 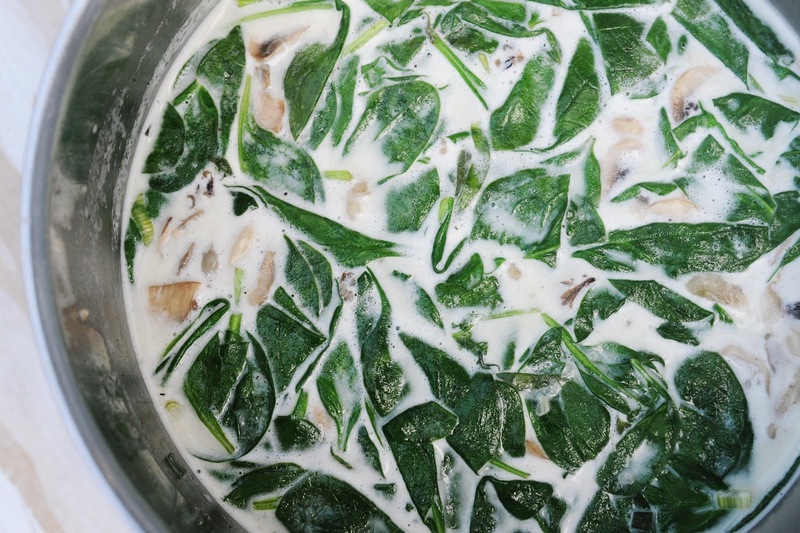 Let it sit for about 5 minutes and your spinach should be soft and wilted. Oh yum.... crusty thick bread and soup- I'm in heaven.... and I LOVE wild rice! Thank you Mama J…the bread was so good! I am a huge fan of soups, especially during those cold days coming. Love this recipe, the pic looks amazing! 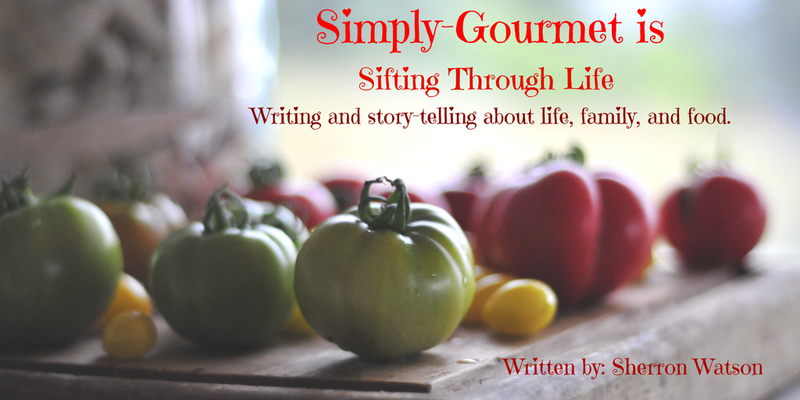 I am new to gluten free cooking. 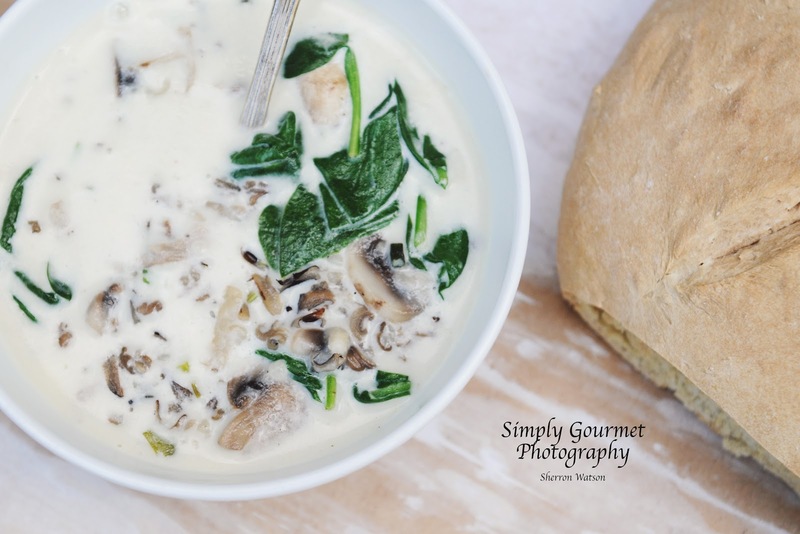 your wild rice soup calls for flour; what kind do you suggest?